Grenada Tourism Authority (GTA) announced at its press conference on 2 February, during CHTA’s Caribbean Travel Marketplace 2017, that JetBlue is launching new daily service between New York’s John F Kennedy International Airport (JFK) and Grenada’s Maurice Bishop International Airport (GND) on 16 June 2017. 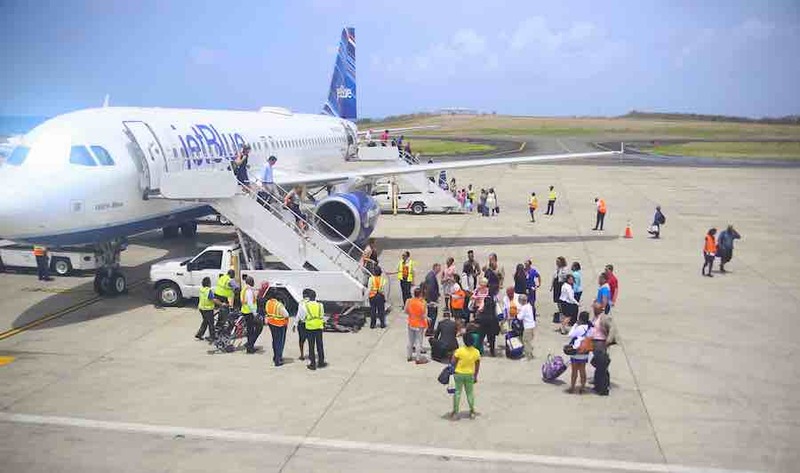 JetBlue currently serves Grenada from JFK with 5 flights offered Sunday, Monday, Tuesday, Thursday and Saturday departing at 9:57 am, as well as weekly Mint flights that operate Saturdays only on a seasonal basis, which launched this January. In addition to the existing flights, the 2 new flights will depart at the same time on Wednesdays and Fridays with the returning flight at 3:27 pm. These times allow for visitors to arrive early and depart late, increasing time spent on the island.